We all know that dogs are one of the sweetest beings that looove to cuddle and play without a care in the world. However, they are also some of the smartest animals and if you own a dog, it would be a pity not to take advantage of that, both for your and your dog’s sake. Only a bored dog is an undisciplined dog and even within the first few months, you can notice that puppies love to obey and feel appreciated. 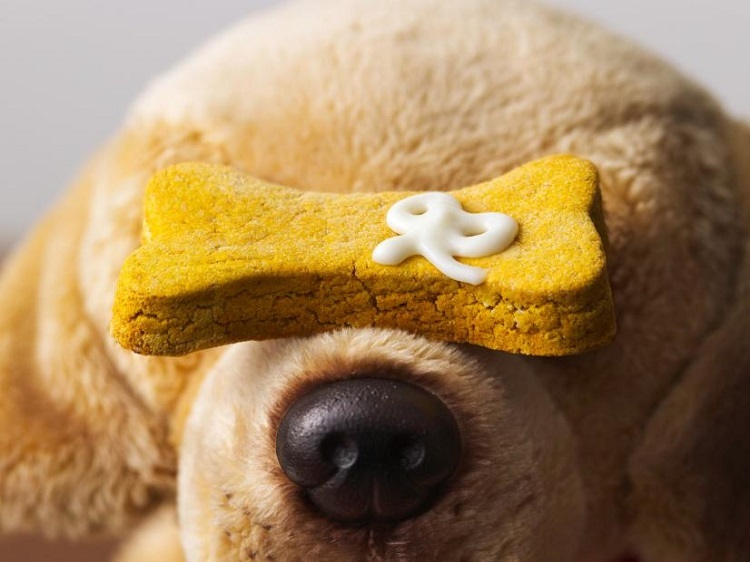 It is precisely during the initial 1-6 months when you should begin to engage your dog in learning a few simple commands using a delicious puppy treat every time it gets it right. Sit and stay are the most important commands which you can later on very conveniently put into use. In order to make the training period shorter and the commands more effective, make sure you always use a similar tone of voice and hand gesture. The less variation there is, the better the dog’s memory. Another thing that is sure to influence how good and how quickly your dog will learn is motivation. The puppy needs to anticipate the treat with excitement so that it can focus better to please you. Make sure that the puppy treat is something your dog finds tasty and it is also your job to ensure it’s healthy. For instance, bite-sized yogurt drops (usually enhanced with some fruit) are very fun and nutritional choice you furry friend is sure to love. Apart from being consistent, you also need to be patient with your puppy since it is precisely patience you are trying to teach with sit and stay. It should go without saying that you shouldn’t reward your dog if it doesn’t sit, but also, be careful not to reward when it sits and immediately stands up, especially after you have introduced the command stay. You can allow standing up whenever the dog wants during the first several days while you are only teaching it to sit when told to. Once stay is introduced, you need to work on combining them. Well-trained dogs can wait for their owner for 20 minutes once given the command stay and this can be very useful if you are introducing a new pet and you need your dog to remain still. Just don’t expect the same results when there is too much visual and audio stimulation. This is why even the simplest of commands take time. Except at home, challenge your dog’s concentration and make sure you use the commands when you have guests or when you are out for a walk. Finally, don’t let other people say the commands to your dog cause they will add more variation and confusion. You can, of course, involve your partner of a family member, but only if they agree to follow the aforementioned rules.